Again, I came across a quote that stuck to my head. 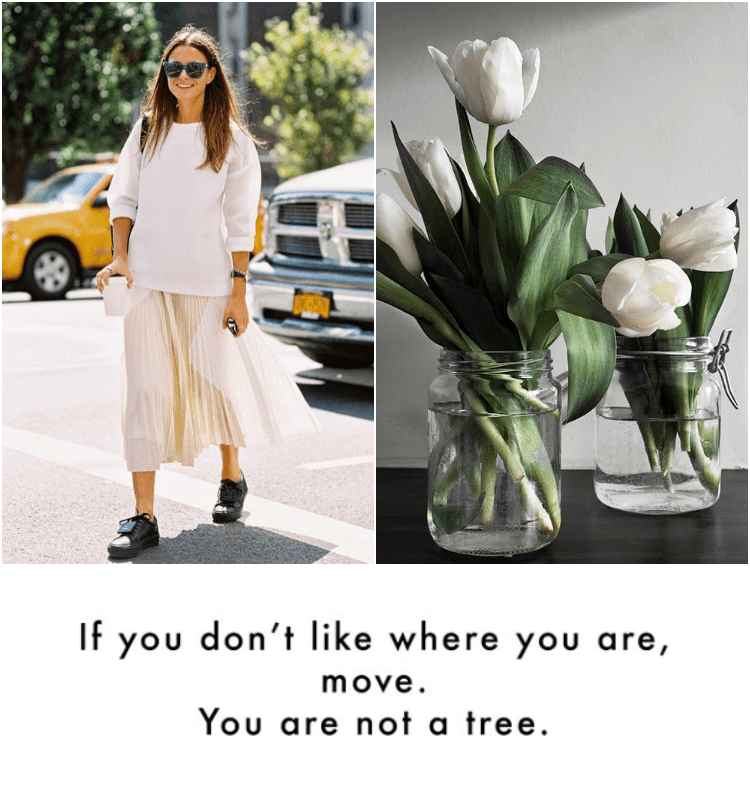 “If you don’t like where you are, move. You’re not a tree.” Even though it gets me smiling every time I read it, it’s still damn true. Wouldn’t it be better if instead of complaining, we would actually do something, so we don’t have to complain and be miserable? So instead of being grumpy about this Monday, I’m gonna make the best of it. As far as my wardrobe go, I’m going all black and I’m not even sorry! Hope you enjoy your week!